Vical’s (VICL) Allovectin-7 is a pure immune therapy. (1) Which means it does not directly kill cancer cells, but activates the immune system to do so. Vical will soon announce A-7 phase 3 results in Melanoma, but the mechanism of action is not specific to Melanoma, and can be used in any solid tumor cancer. 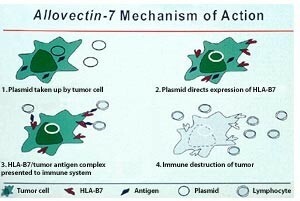 (2) For this reason, I expect that Allovectin-7 will become one of the best selling cancer drugs of all time. 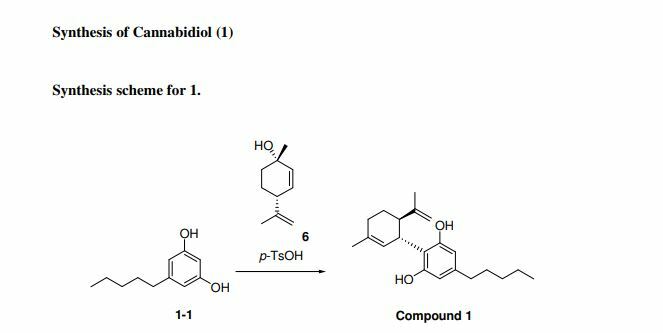 Allovectin-7 is a substance that is being studied as a gene therapy agent in the treatment of cancer, such as malignant melanoma. 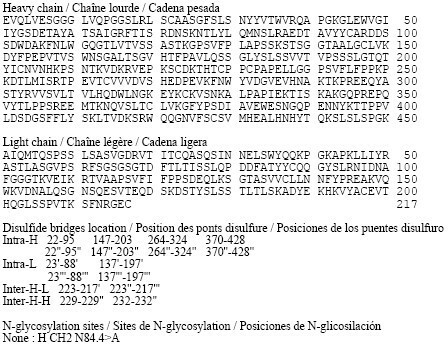 It is a plasmid/lipid complex containing the DNA sequences encoding HLA-B7 and ß2 microglobulin – two components of major histocompatibility complex (MHC, class I). It increases the ability of the immune system to recognize cancer cells and kill them. In 1999, FDA granted Allovectin-7 orphan drug designation for the treatment of invasive and metastatic melanoma. This article incorporates public domain material from the U.S. National Cancer Institute document “Dictionary of Cancer Terms”. Allovectin is a first-class DNA-based immunotherapeutic designed to stimulate both innate and adaptive immune responses in local tumors and distal metastases. The goal is to become a first-line treatment for Stage III and IV melanoma, where it is intended to provide improved efficacy, a better safety profile, and simple outpatient administration. As last reported, the company is approaching completion of a Phase III registration trial versus chemotherapy in patients with metastatic melanoma. The reporting of end results has had numerous delays, but the results are now expected by Q3. Outside of Allovectin, Vical has ten clinical trials ongoing, three of those independent and the rest in collaboration. Clearly, Vical is not totally dependent on this immunotherapy though it is the most advanced independent program in the company’s pipeline. Vical has a market cap of $257M, so clearly a homerun therapy could send the stock soaring. By DR ANTHONY MELVIN CRASTO Ph.D in Phase3 drugs on July 31, 2013 . Reblogged this on MedCheminSingapore by Sushma Wang.